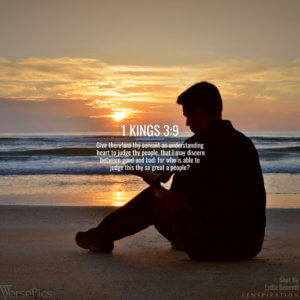 When you think of King David in the Bible, what events and character traits come to mind? This week on the podcast, we’ve got a very special Part 2 of our CMOW Episode covering the Books of 1st and 2nd Samuel! This time we’ll continue the discussion as we look at the life of King David, including some of his successes, some of his failures, and what truly made him “a man after God’s own heart.” We’ll also be releasing our next VersePic as we head into the month of July, so we’ve got a lot to talk about! All that and more, on this episode of the Sharpening Character Podcast! If you haven’t had a chance to hear Part 1 of this episode which we began last week, you can do it right here! For more information about Courageous Men of the Word and the ministry they have to encourage men and young men in their walk with the Lord, be sure to check our their website at CMOW.net! Don’t forget our VersePic of the Month! Click or tap the image to download. For the tablet version and past VersePics, check out our VersePics page!